Senator John McCain was at point an opponent of MMA and the UFC in the mid-90’s, he was also a driving force behind instating the Ali Act in Boxing. 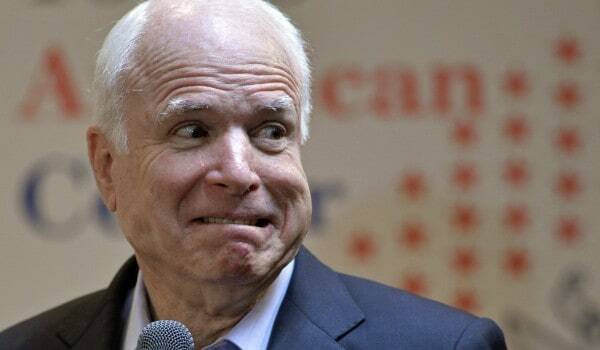 This has led to John McCain being one of the UFC’s “enemies” for many years, but now things seem to be taking a bit of a turn as he was involved in the press event last week about a recent study on Brain Damage in sports, which the UFC was also involved in. Take away from that event as you will, as some have their tinfoil hats on over it being some sort of political fix-up on behalf of the UFC and others see it as, well, who the hell knows, but AXS TV asked John McCain what he thought of MMA now and if he would have tried it. His answer is that yes, he would have.